Motorola’s LapDock: The next Google ChromeBook? Google’s $12.5 billion offer to purchase Motorola Mobility(s mmi) isn’t a done deal yet and some are still wondering how the Google(s goog) will best benefit from the acquisition without upsetting partners. Motorola’s patents are surely a huge boon to Google and it’s possible Google keeps those and spins off Motorola; that’s what I predicted in December. Motorola could, however, stay as a part of Google as an autonomous subsidiary hardware group, helping to keep the peace with Samsung, LG, HTC and others who rely on Android. If this scenario plays out, what could Google do a with a hardware maker? The more I think about it, the more I suspect it could use Motorola and it’s LapDock product, to help not one, but two of Google’s platforms: Android and ChromeOS. Android itself is still doing well and needs the least help: It’s currently the best selling mobile platform for smartphones, even though iOS has done some catching up with sales of the highly popular iPhone 4S of late(s aapl). The point of Android isn’t just to lead in market share to maximize advertising revenue on mobiles, but also to gather as much information from Android users as possible. That data could lead to new products and revenue opportunities in the future; ones we haven’t even envisioned yet. ChromeOS, by comparison, hasn’t come close to duplicating the success of Google’s Android platform. ChromeBooks — the relatively inexpensive laptops that run a Chrome browser and web apps atop Linux — haven’t yet made a big splash like smartphones or tablets have. The platform continues to mature, but hardware partners seem more focused on other priorities: Ultrabooks and preparation for Microsoft Windows 8(s msft) later this year. Motorola could help change that, and it has a potential catalyst in another device that really has been underwhelming. 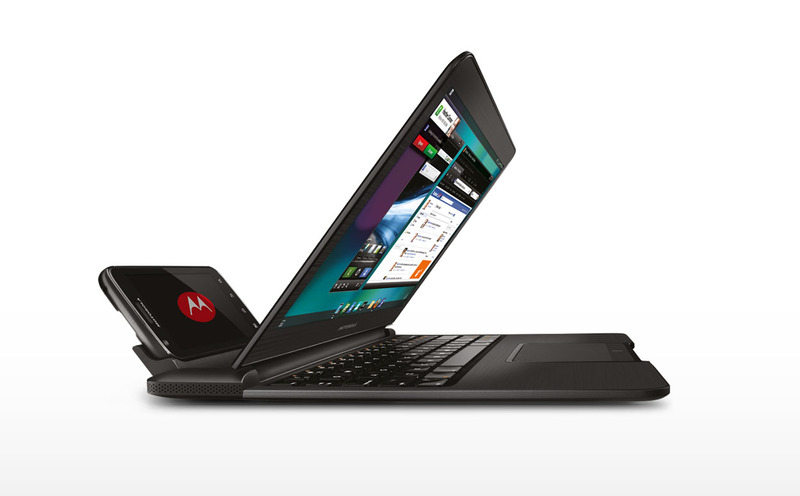 With its Atrix 4G smartphone launch last year, Motorola introduced the LapDock accessory. Essentially, the Atrix smartphone plugs into the LapDock — which looks like a small notebook computer — and powers the device. All Android data on the phone is available to the computer, which runs on the phone’s processor using a customized version of Linux. Traditional apps can’t be installed on the LapDock, just as with ChromeBooks, and the user works within a browser; in this case, Mozilla Firefox. I loved the modular computing idea when I took the Atrix 4G and LapDock for a spin last year, but found the desktop experience to be lacking. Part of the issue was a general sluggishness of the Linux environment, which could be due to the phone’s hardware and also with the Linux implementation. Today’s handsets, however, have more horsepower and could be better at powering a browser-based desktop environment. And based on even my limited use of the ChromeOS, I think Google has a better handle on the software side of things than Motorola. Why then couldn’t Motorola’s LapDock be used as the blueprint for a next-generation ChromeBook? As the owner of Motorola, Google would have clear input as to the design and hardware needs for both a next-generation ChromeBook and the phone to power it. Yes, Google’s ChromeOS partners might be miffed, but they’d be less likely to rebel against Google; their ChromeBook products aren’t setting sales records and Google feels as though they’ve given up. In other words, they’d lose very little in this market as compared to competing against Google on Android phones. From a hardware perspective, all of the ChromeBooks today run on Intel(s intc) x86 chips, but Google originally said ChromeOS would be supported on ARM chips as well and Motorola has years of experience with these. And recent code for the ChromeOS project hints at support for a new Samsung Exynos ARM-based chip so ARM products could be around the corner — Rumors point to Sony(s sne) readying one such device. If Google and Motorola are considering the idea of a phone-powered ChromeBook (a Chrome PhoneBook?) I see several potential benefits. First, “Googlerola” could potentially offer these devices cheaper than the $300 to $420 price tags for today’s ChromeBooks. The docks would have fewer radios and no processor because a companion phone would handle connectivity and the CPU/GPU. 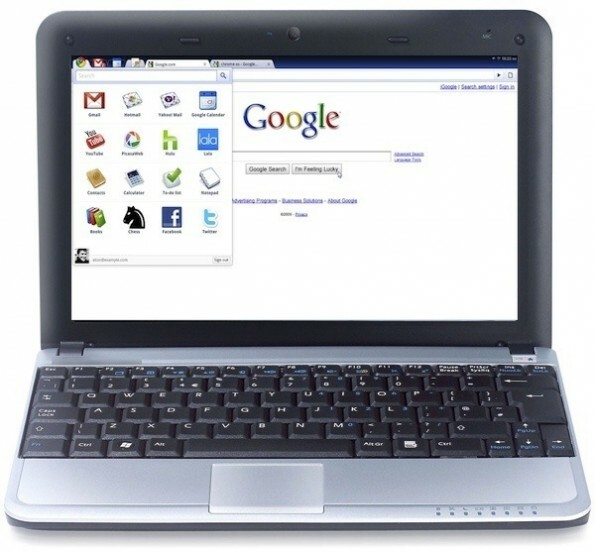 Second, using a phone for this next-generation ChromeBook means you’ll always be connected (provided you have mobile broadband coverage); key for a browser-based operating system. Third, although Android and ChromeOS have been separate entities so far, this could be a way to begin integrating them, and therefore create a more fluid experience between desktop and mobile environments. Microsoft(s msft) and Apple are both betting on this strategy: iOS features are effectively finding their way into OS X, and Windows 8 will use the same Metro UI as Windows Phone. Interestingly, Asus is taking this same approach with its PadFone. 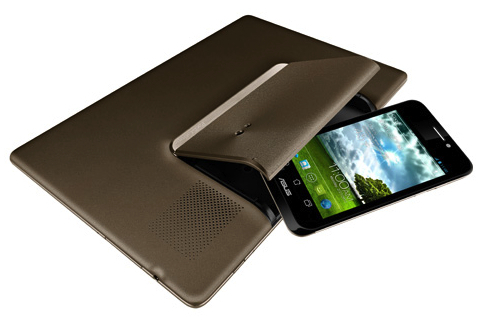 An Android 4.0 handset works as a standalone device, but can fit inside a notebook-like dock. The only difference here is that Asus is using Android for both the phone and the desktop experience. That’s likely better than Android and the custom Linux build that Motorola is using, but ChromeOS may be better yet. Let’s face it: While there are some happy ChromeBook or LapDock owners out there, most mainstream consumers either haven’t heard about these products or they’ve simply passed on them. And for good reason. Plus, Google is fighting against Microsoft and Apple; both of which have a mobile and a desktop platform. For now, Google has a mobile platform and not much of a desktop presence to fight back with. It’s early yet, but if Google combines Motorola’s LapDock concept with its own ChromeOS operating system, this could be one of the rare cases where two wrongs do make a right. I can’t really see the added value in this. Indeed the padfone concept is brilliant and I think we can think of smartphones as light computers. However, merging Chrome OS and Android in a single package looks strange to me. Both systems are standalone. 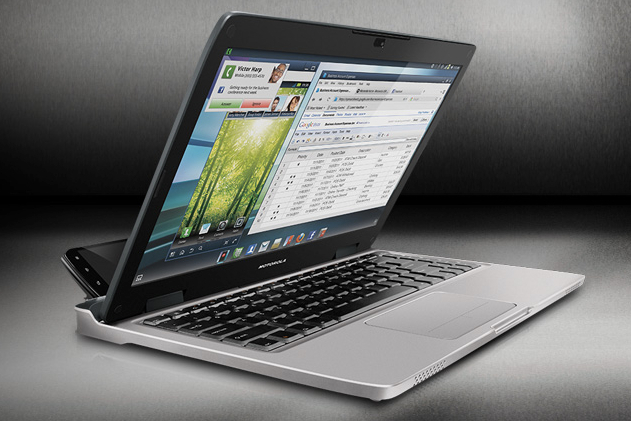 Android misses Chrome OS security functions. Chrome OS misses Android touchscreen functions. You can develop improvements on both in parallel. The user will then decide which one fits his needs best. Microsoft is trying to merge both mobile and desktop into Windows 8. Let’s see if they succeed without introducing complexity. From what I saw on this new system, they did not manage ti provide a complete seemless switch between mobile and desktop computing. The set up you suggested, tell me how different it is from the situation where Chrome for Android is installed on the phone? Chrome OS is 90% Chrome. The 10% missing there, Android can compensate. So, to me, this is not a possibility in the mere future, the merger. I love the idea, frankly. I’d jump at the idea to have an Android/Chrome powered laptop. Granted I’d still need my workstation (I do a lot of CAD/CAM/Statistical Analysis) but for everyday tasks such a device would be perfect. Given cloud-syncing, the plummeting cost of technology, and the benefits of redundancy, the question we should be asking is not “why have two devices when you can have one”, but “why have one device when you can have two”.